The next get together for Couthie Cushions is on the afternoon of Wednesday 8th May. This years charities are East Neuk First Responders and Alzheimer Scotland. 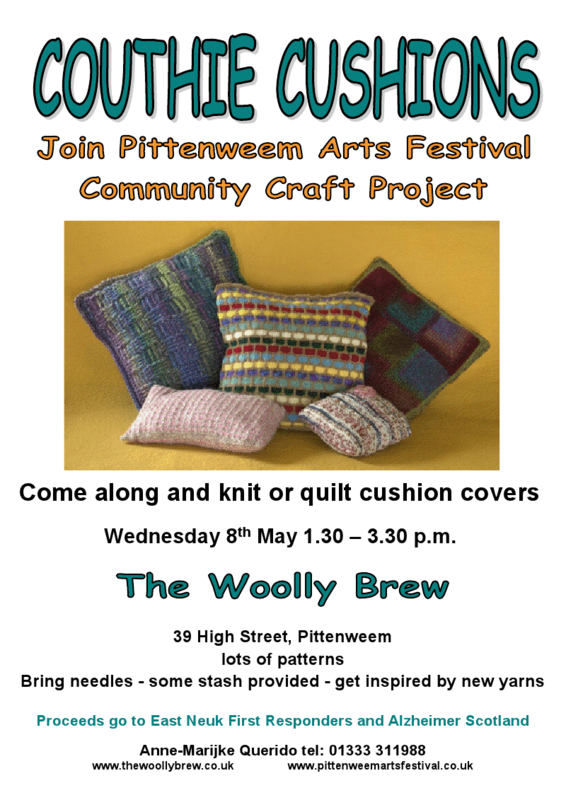 Knit, crochet or sew a cushion before the Pittenweem Arts Festival in August and it will be displayed and sold in aid of these charities!